The Ministry of Education says government has not taken any decision to force students in tertiary institutions to pay utility bills. According to a statement signed by the deputy minister of education in charge pre-tertiary, Alex Kyeremeh, government’s policy regarding subsidy on water and electricity for tertiary students still remains the same. Rumors of government’s decision to make students to pay utility bills emerged on March 25 at meeting attended by stakeholders in tertiary education in an auditorium of the University of Professional Studies, Accra (UPSA). But the deputy minister asked students to disregard any such rumour about the payment of utility bills. 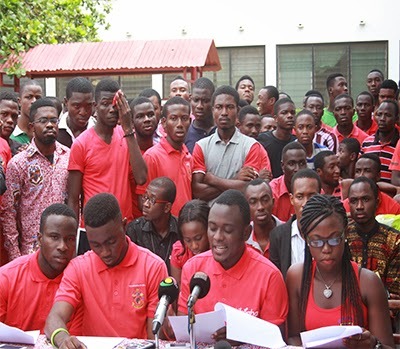 It can be recalled that students of the University of Ghana, Legon last Wednesday accused government of trying to use diabolic means to force them to pay utility bills in order to generate revenue to address economic challenges. The directive comes at a time when the tertiary student body had threated to embark on a nationwide demonstration to register their displeasure over government’s impervious and insensitive intention to shirk its responsibility of payment of utility bills. The demonstration was also to protest against the implementation of the policy which would have increased the fees of students by approximately GH¢500.00. Meanwhile, Cabinet has also issued a new directive that all educational and health institutions be exempted from the disconnection exercise currently on-going in some tertiary institutions in view of critical services they provide to the citizenry.